BLOOMINGTON, Minn. – Feb. 4, 2019 – With the third month of the 2018-19 campaign completed, the women's Western Collegiate Hockey Association (WCHA) is proud to recognize four student-athletes as its WCHA Players of the Month, Powered by GoodWood Hockey. The honorees for January 2019 are: Minnesota sophomore Grace Zumwinkle (Forward) and senior Sophie Skarzynski (Defenseman), Wisconsin junior Kristen Campbell (Goaltender), and Minnesota Duluth freshman forward Gabbie Hughes (Rookie). 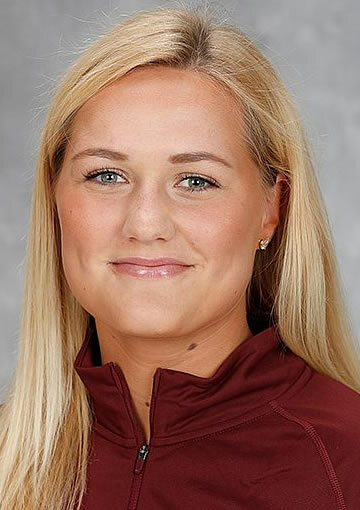 Minnesota's Grace Zumwinkle led the WCHA with 12 points, eight goals, 1.00 goals per game, 1.50 points per game, three power play goals and four power play points in eight games. Her eight goals tied for second nationally while her 12 points tied for fourth in the country for the month. Her +10 +/- ranked third in the league behind two of her Gopher teammates. 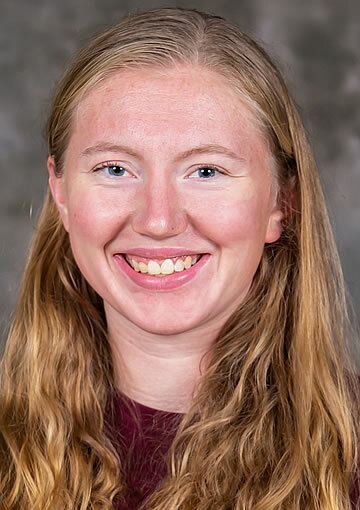 The Excelsior, Minn., native opened the month by winning Most Outstanding Player honors at the Minnesota Cup, leading the Gophers to the team title with three goals in the Maroon & Gold's two contests. She posted three two-goal games during the month, four multi-point games and at least one point in seven of the Gophers' eight January contests. Zumwinkle assisted on three of Minnesota's four goals in its series split with No. 1 Wisconsin, Jan. 18-19, and had four points on three goals and an assist in UM's road sweep of then-No. 7 Ohio State (Jan. 25-26) to close out the month. Three of her goals for the month came on the power play as Minnesota posted a WCHA-best .348 power play average (8-for-23). As a team, Minnesota was 7-1 in January, outscoring its opponents, 38-14 while averaging 4.75 goals per game. This is Zumwinkle's second WCHA monthly award this season (November) and the third of her career. Honorable Mention: Clair DeGeorge, So., Bemidji State (led the Beavers in points for the month with nine on four goals and five assists); Brittyn Fleming, So., Minnesota State (recorded four goals and three assists for the Mavericks in January, including the game winning-goal in MSU's Hockey Day Minnesota victory over Bemidji State). Minnesota's Sophie Skarzynski tied for second among WCHA defenders with five points in January on a goal and four assists and led the nation's defenders with a +15 plus-minus rating. Her four assists tied for fourth in the league among defensemen and 13th in the NCAA for the month. The Lake Forest, Ill., native also blocked 14 shots for the Gophers last month, which ranked ninth among the league's defenders. She led the Gophers with two points on a goal and an assist in UM's win over No. 1 Wisconsin on Jan. 19, scoring Minnesota's first goal and assisting on its final tally. Skarzynski's work on the blueline helped the Gophers limit its opponents to just 14 goals in January for a team goals against average of 1.75, which ranked second in the WCHA as the Gophers finished the month 7-1 (.875). Minnesota also killed 22-of-25 penalties for the month, good for an average of .880, which ranked third in the league. This is the first career WCHA monthly honor for Skarzynski. Honorable Mention: Melissa Hunt, Sr., Bemidji State (led all Beaver blueliners with five points on five assists in January, which tied for second among WCHA defenders); Anna Wilgren, Fr., Minnesota State (finished the month with three points on a goal and two assists for the Mavericks); Mekenzie Steffen, Jr., Wisconsin (led WCHA defenders with two goals in January, both of which came in the Badgers' 5-0 win at St. Cloud State on Jan. 25 for her first career multi-point game). Wisconsin's Kristen Campbell picked up a WCHA-best four wins, including two wins against ranked teams in January for the No. 1 Badgers. Campbell's 1.35 GAA was the best mark by a WCHA netminder for the month while she was tied for the league best with one shutout. In addition, her GAA of 1.35 tied for the eighth-best mark in the NCAA in January. Campbell stopped 32-of-35 shots in wins over then-No. 7 Ohio State on Jan 12 and then-No. 2 Minnesota on Jan. 18. 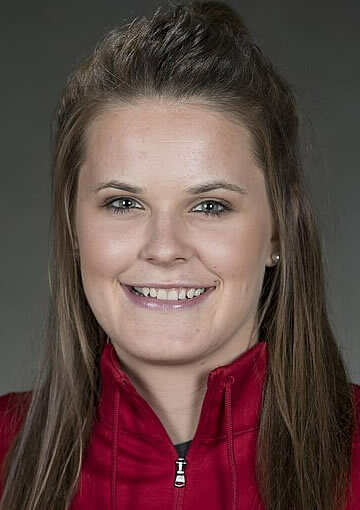 The Brandon, Manitoba, native stopped 99 of 107 shots for the month for a save percentage of .925 as the Badgers finished 4-2 in her six starts. This is the fourth career WCHA monthly honor for Campbell and her first this season. 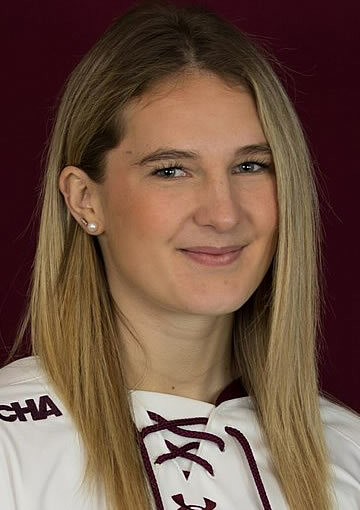 Honorable Mention: Lauren Bench, RS-So., Bemidji State (posted a 3-1-1 record in January with a .914 save percentage and 2.22 goals against average); Sydney Scobee, Jr., Minnesota (finished 4-0-0 for the Gophers for the month and led all WCHA goaltenders with a .945 save percentage); Maddie Rooney, Jr., Minnesota Duluth (went 4-3-0 for the Bulldogs with a league-high 199 saves on 218 shots); Abigail Levy, Fr., Minnesota State (stopped 196-of-224 shots for the Mavericks in eight January appearances). Minnesota Duluth's Gabbie Hughes tied for the WCHA lead and led all NCAA rookies with 12 points in January on six goals and six assists. Her six goals ranked second nationally. The Lino Lakes, Minn., native recorded a career-high three points against Minnesota State at the Minnesota Cup on Jan. 6 with two goals and an assist. Hughes had five multi-point games in eight outings for the Bulldogs over the month and currently leads the Bulldogs in scoring on the season with 29 points, the most by a UMD rookie since 2011-12. This is Hughes' first WCHA monthly award. Honorable Mention: Ellie Moser, F, Bemidji State (led all Bemidji State rookies in scoring with three points on two goals and an assist in January); Taylor Heise, F, Minnesota (recorded four goals and eight assists to share the WCHA points lead with 12; led all league newcomers in assists); Brooke Bryant, F, Minnesota State (finished the month with eight points on four goals and four assists to lead the Mavericks in scoring); Jenniina Nylund, F, St. Cloud State (helped the Huskies advance to the championship game of the Minnesota Cup with a goal against Minnesota State in the semifinals on Jan. 5); Sophie Shirley, F, Wisconsin (averaged 1.33 points per game in January with three goals and five assists in eight games for the Badgers; finished +7 for the month to rank second among league newcomers).